There's been some discussion of subtext among my fellow writers. I'm speaking in terms of the second definition from Collins English Dictionary. Mary married Trevor, the oldest son in a wealthy, traditional family. Mary has been having an affair with her husband's younger brother, Steven. A few days after Trevor's murder, Betty, her sister-in-law, shows up at Mary’s house. Mary answers the door. They are both the outsiders in the family. Betty: We wouldn't want you to be alone, unless of course you prefer it. One of us could stay with you if you like. Betty: You sure you don’t want me to send Steven round. I mean he could sleep on the sofa or something. Just until you've over the worst of it. Mary: I wouldn't dream of imposing on him. He’s got enough on his plate as it is. Betty: He wouldn't mind. He can sleep anywhere. It makes no difference to him. Shall I lend him to you for a while? I have been reading your book Welcome to Fred aloud to my children at night. Sometimes, I take it in the truck with us to read aloud as my husband drives us around town. (Sometimes we drive around to get the baby to sleep, other times to soothe the grown ups.) Most of the time, I sit in the hallway between the children's bedrooms and read to them as they settle in for sleep. I just wanted you to know that there has been a lot of laughter and good conversation. The-10 year-old has taken to saying "Bingo was his name-o!" as if it was his very own idea. And I wanted to thank you for last night. You see, three days ago we buried a friend of ours. He was killed suddenly in an accident at work. (Electrician) His name was Donald and he was a very good guy. He could always be spotted around the ball field with a great big smile. He was a friend to my kids but also to everyone he met. He always had a cooler full of Gatorade or ice water to give out to the kids who were running around the park all hot and thirsty. And a pocket full of bubble gum too. He was only 42. He left behind a teenage son, friend and teammate to my 14 year old. It has been a sad week at our house. Last night we landed in Chapter 15 where "Old MacDONALD" was in a tragic accident, and the town of Fred buried two people whose time was up too soon, and Sonia's feelings mirrored many of the same ones we've been taking turns with around here this week. I will admit, I had to stop and compose myself a few times in order to keep reading without a trace of tears in my voice. And then, from his fictional pulpit, Pastor Cloud spoke real words of comfort and understanding to a couple of real-life kids in their bed. Like in The NeverEnding Story where the ChildLike Empress begins to speak to Bastian. Anyway, thanks for the timely words. All of the Fred books are full of references to music. For your dining and dancing pleasure, take a stroll past the Postcards from Fred playlist, a YouTube playlist of all the songs mentioned in the upcoming novel, Postcards from Fred. Keep in mind that not all the songs are mentioned in the book in a favorable light. I tried to place the more annoying songs at the end of the list, but YMMV. 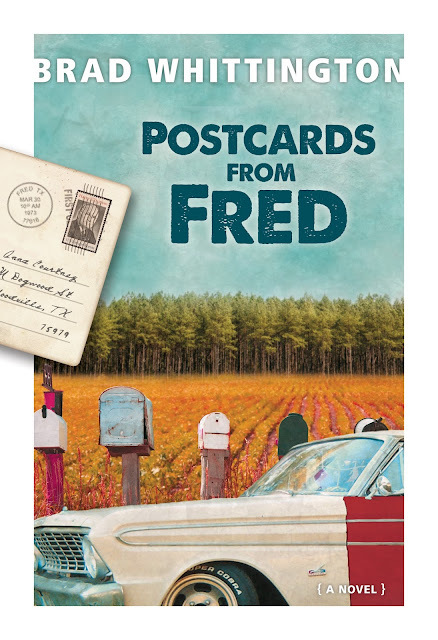 In case you haven't heard, there's a new Fred book on the way, and once again Amanda has created a great cover. Here's the final cover for Postcards from Fred, coming out in October. Click to see it full size. Ever wonder what would Jesus do? On a date? It’s been a bad weekend. Mark Cloud’s dreams of romantic bliss have been cruelly obliterated, and his friendship with the local moonshiner has drawn unwelcome attention from the local Pharisee, Deacon Fry. Then two girls enter his life: one a lovely and sold-out-for-Jesus preacher’s kid who just might be The One for him, the other a prodigal wild-child who just might give Deacon Fry the ammunition he needs to rid himself of this troublesome pastor and his vexing family. Mark’s romantic aspirations and his vow to fly under the church-politics radar crash into his vow to live his life asking the seductive but inconvenient question: What Would Jesus Do? His response will determine not only his dating life but possibly the future of his father’s career. Sign up for the newsletter to get notified when it's available, and also to get sneak peeks and freebies. The next issue goes out next week with freebies for the insiders. This is what happens when you're trying to sneak up on a writing session. You know it's going to take a deep dive, a full plunge into the zone, and even though it's the thing you really want to do, you're dreading the energy it will take to get there. So you futz around reading your RSS feeds and such. "The Great Gig in the Sky" is one of my favorite tunes, one of the few that can bring tears to my eyes. Because I'm not much of a fan-geek, I never knew the background of the tune. Turns out the vocal melody was completely improvised by Clare Torry, a singer they hired to come in and sing something over the track they had recorded. I had always assumed that the basic melody had been written, not made up on the spot while recording. You should listen to these with a good speaker system or headphones. Laptop or smartphone speakers just aren't going to do the trick. The studio version from Dark Side of the Moon. The making of. Warning: The audio on this is twice as loud as all the others, so you might want to turn in down. An interview with Clare Torry about the experience of recording it. Here's a killer live version with three vocalists, none of which are Clare Torry. I dreamed this new business model Thursday night. It combines pizza and home mortgages. Let’s say you like two kinds of pizza, say pepperoni and hamburger, and you’re eating with a friend of similar tastes. Then you get pizza from my business, Shake and Twist Pizza. The slices come in rectangles just the right size to fit in the palm of your hand. You palm a slice of pepperoni, crust side to the skin. Your friend palms a slice of hamburger. And you shake hands. Now the slices are like a sandwich between your hands. You both slide your hand down to grab your end of the pizzas and twist, pulling away your half. That’s Shake and Twist pizza. But that’s not the best part. At Shake and Twist Pizza, we will give you a micro home equity loan to pay for your pizza. Every time you order a pizza, we just add the cost of the order to the principal of your loan. Painless and tasty, too! Yes, I dreamed that whole thing Thursday night. You want in? I had three traditionally-published novels released before I ever attended a writer's critique group. It's not easy to find a critique group that knows what it's talking about and fits your personality. Fortunately, Austin is a writer's town, so it's a little easier to find a decent group than in other towns where I've lived. If you're in the Austin area and looking for a critique group, you should check these out. 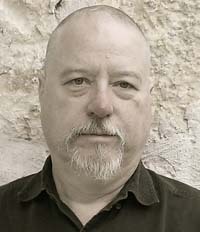 If you're looking for a good screenwriting group, Austin Writer's Workshop is one of the best. Currently meeting Monday nights at Opal Devine's at Penn Field. I attended this group for four years before I abandoned screenplays to return to novels. I can't imagine a better novel critique group than Novel in Progress, which meets the 2nd and 4th Sunday from 1:30-3:30 at the Austin Recreation Center near 15th and Lamar. Facebook. Website. I'll be submitting my current work in progress, a return to the Fred stories, in the coming weeks. On Wednesday I'll be on Writing on the Air on KOOP radio at 6 pm CDT with Jeremy Grigg talking about Endless Vacation and future projects. You can listen online or on the radio at 91.7 FM. I discovered just how long I've been working on and talking about Endless Vacation when I went back to the Writing on the Air archives looking for my previous appearances and discovered I've talked about this story with these guys since 2009. Here's a list of the other times I've been on if you'd like to give them a listen. 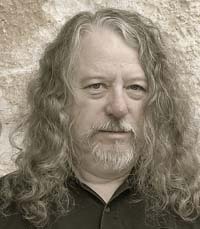 Feb 6, 2012: Muffin Man and What Would Jesus Drink? Rock on and check it out. In the course of bringing a novel to press, a lot of stuff gets left on the cutting room floor, not all of it bad. In the case of Endless Vacation, more was left on the floor than usual in my novels because it went through about 40 drafts as screenplay and novel before I finally shoved it out the door. Entire chapters of flashback story lines and abandoned plots. Here's an excerpt that used to be at the beginning of Chapter 5 that I was particularly fond of, but it did slow the pace somewhat in a moment of tension, so I allowed it to be pried from my fist. The kitchen was reduced to chaos. It was as if a sorcerer’s apprentice had been called away suddenly in the midst of a particularly troublesome spell that had gone awry. Dave scanned the wreckage. The island was an explosion of vegetables, cheeses, spices, seasonings, rubs, garlic cloves, three kinds of oil, four types of vinegar, wine bottles, condiments and sundry peelings, skins and hulls, in various stages of use and abandonment, interlarded with measuring cups oozing sauces, can openers, corkscrews, used knives, cheese-encrusted graters, discarded wrappings and half-empty boxes of ingredients. The stove warehoused an array of pans and skillets like a graveyard of burnt-out war machines, some scorched, others glazed with garnishes in hardened grease or coated with a glutinous sauce of dubious provenance, and all overlaid with a dusting of flour like an early snowfall. Spatulas and ladles and tongs and a meat thermometer lay where they had fallen in battle. The sink overflowed with discarded cans and colanders and whisks and bowls and plates and spoons. The floor appeared to be the work of a Jackson Pollock devotee who had settled on organic matter as his medium. I especially like the stove paragraph. Oh well, one does what one must. Would you have the nerve to pull the trigger? Thought some of you might find this deleted scene from the extras for Endless Vacation, a prologue that ended up on the cutting room floor. When the doctor stopped talking, Rex thought, "This is not the Middle Ages. People don’t die at sixty-four anymore." But clearly some did and he was one of them. He didn't meet the man's eyes. Instead, he looked at the doctor's leather valise leaning against the desk, at the corner where it was worn through to the fabric underneath. His heart raced as adrenaline coursed through his system, blood pounding in his ears. It was the panic moment, that point at which you know you've done something horribly wrong and nauseatingly irreversible. The split-second in the middle of the intersection when you realize you missed the light and the truck bearing down on you can’t stop. Here he was, frozen in the second before impact, face to face with the inevitable. According to the doctor, he had months, not seconds, to stare at the semi filling his vision. Was that a second chance or a living hell? His second thought was a prolonged "No" echoing in his skull. He stared at the frayed leather as if he could zoom in to see the fibers and then the molecules and then the atoms and the electrons and neutrons and further in until a single atom was the universe, or the universe was a single atom. Or perhaps they were the same thing. Or maybe they were nothing at all. His third thought was, "I can fix this. It will be okay." That didn't last long. He couldn't and it wouldn't. He pulled his gaze from the valise to the doctor. The man had done this before, probably dozens of times, but he looked like it was his first time. Let him. It was Rex's first time, too. He had heard that four people die every second. Somewhere, right now, in four places on the globe, four people were staring down four semis. He wondered how many times a second a person was told he would die. Fewer than four, certainly. Maybe he was the only one for this second. He wanted to believe that it made him unique, but the truth was he was just one more snowflake on a glacier. And what did a single snowflake matter in the scheme of things, in this universe inside an atom? He thought of Bridget and the ghost of a smile haunted his face. She had been more than a snowflake. She had made a difference of some kind, however small, however fleeting. And what more could one ask of a life? Rex held the doctor's gaze and said, "Thank you." He ignored the muted confusion on the man's face. It was a second chance and he would make the most of it. Which way do you think the novel should have started. Like it does now with Dave in his office or like this with Rex getting the news? You can leave your thoughts in the comments. I've had a few emails from people missing my book reviews. I have been reading, but writing and releasing Endless Vacation has taken precedence over writing reviews of what I have read. As a concession, here's a list of the books I've read since Nov that I haven't taken time to review. It's April Fool's day, and we all know what that means. Another book from Wunderfool Press. We deliriously submit to you the latest collection of inanity that is a Whittington novel. BROTHERS. CAN’T LIVE WITH ‘EM. CAN’T SHOOT ‘EM. On the best of days Special Agent Dave Fletcher wants nothing more than for his long-lost brother Hensley to stay lost for a long time. But it’s not the best of days. Dave learns that Rex, his uncle and mentor, died while vacationing in Cancún. Just after drafting a last-minute will leaving his fortune to Masie, a stranger who is first on the scene when Rex dies. Suspecting foul play, Dave goes to Mexico to make sure the murderer pays. But he can’t decide whether Masie is the most amazing woman he’s ever met or a cold-blooded killer. When Hensley resurfaces to provide unexpected and unwanted help, he stirs up decades-old resentments and attracts the attention of the killer. Will the brothers kill each other and save the murderer the trouble? 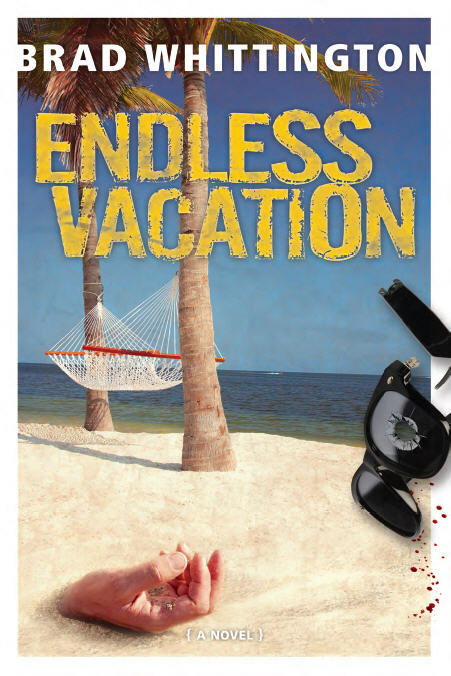 ENDLESS VACATION is the most outrageous novel yet from the twisted pen of Brad Whittington. I did this three years ago. Seemed like time to do it again. 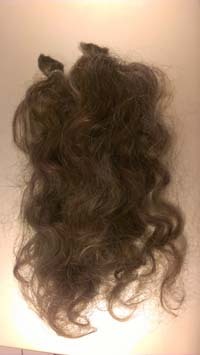 And, like last time, I donated the shearings to Locks of Love. When I started doing promotions of ebooks, I searched for free/bargain ebook websites and then spent 3 or 4 hours filling out the forms on about 30 sites to get maximum exposure. On some sites I also paid the fee for a guaranteed ad. After a few promotions I got tired of all the work and wondered if some of the more obscure sites were worth the trouble. Of course there is a handful of sites that are known for performing well at present, such as BookBub, Pixel of Ink, and others. But I wanted to test the effectiveness of some of the smaller sites. 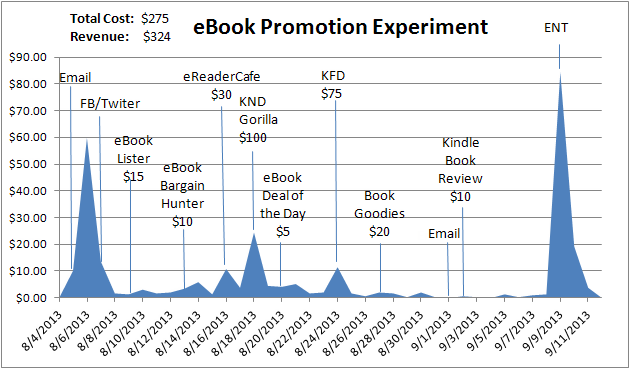 So, I did a 6-week experiment, pricing a book at 99-cents and then promoting it on a different site every 3 to 5 days, all the while tracking the sales daily. Based on the price, my cut was 35-cents per book. I started by sending out a newsletter to the fans who have signed up for it, then posted on Facebook and Twitter, and then the various sites. There are several limitations to the experiment. First, it doesn't necessarily measure the strength of each site because a reader could subscribe to more than one site and sees it on one site first and buys, then doesn't buy when they see it on other sites. Also, some sites might be stronger in some genres and weaker in others. However, despite these drawbacks, and others, I think I can draw a few conclusions. Here's the chart, followed by a table of the data. This tells me that my newsletter subscribers give me a better response than any of the sites I paid for advertising, including Book Gorilla/Kindle Nation Daily and Kindle Fire Department, which were the most expensive ads in this experiment. In fact, none of the ads broke even. The thing that put the experiment into the black is that Ereader News Today picked up the promotion on their own, generating about a third of the total revenue. That was just a lucky break, but which tells me that ENT is reaching readers that the other sites are not if it can list the book after it's been on sale for a month and still outsell all the other sites.